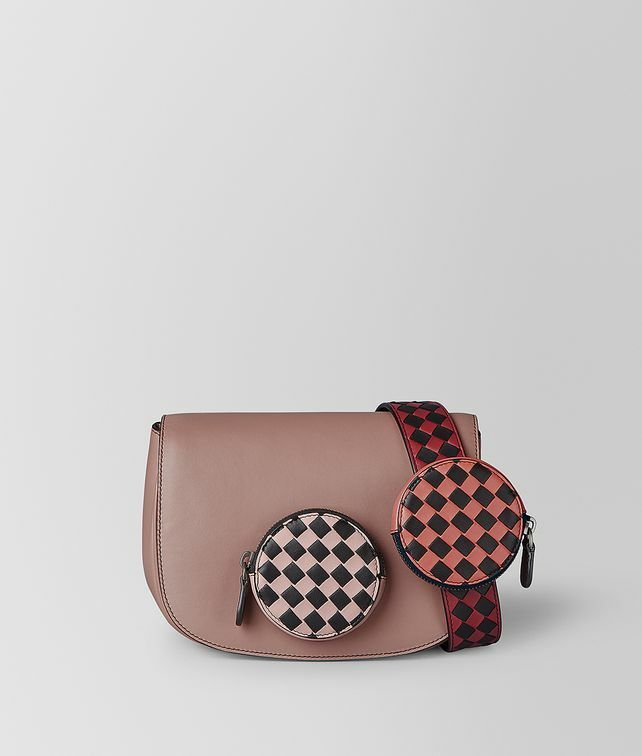 New for Cruise 2019, this BV Luna cross-body bag is crafted from smooth nappa leather and adorned with round Intrecciato Chequer coin purses for an Op-Art aesthetic. The coin purse in the centre of the bag is sewn on by hand, while the versatile pouch on the wide, woven shoulder strap can be removed and carried inside the bag or worn elsewhere. Finished with a suede lining and flat interior pocket.